This year, Gorenje celebrates a quarter century of partnership with the Slovenian Nordic Ski Teams – ski jumpers, cross-country skiers, and the Nordic combined team. 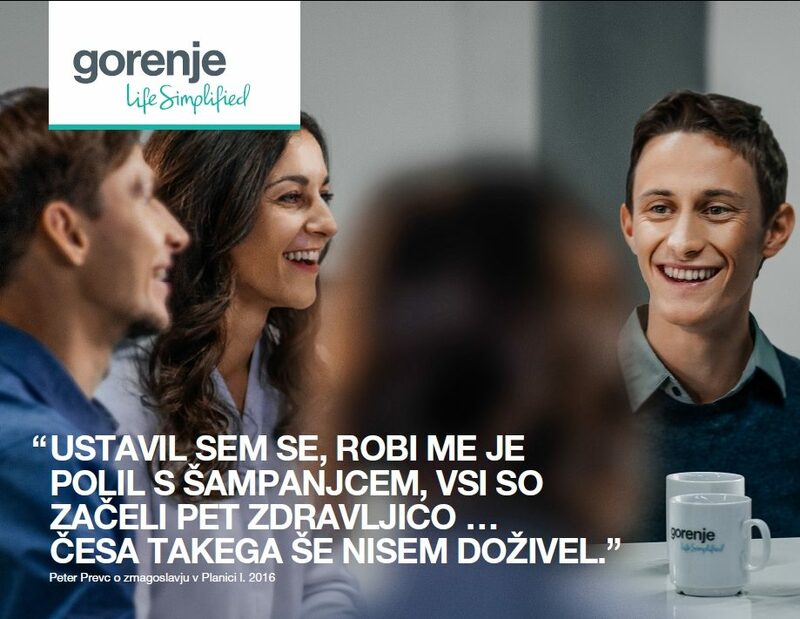 Years of general sponsorship have turned into an inspiring and honest friendship as today's sports champions grew up at their clubs with Gorenje by their side through all their ups and downs. With consistent support through all the years, we made it possible for Slovenian ski jumping and cross-country skiing to be at the very top in the world today. To commemorate 25 years of our cooperation with the Nordic Ski Team, Gorenje is preparing a travelling exhibition and many promotional activities. Moreover, we will again invite the buyers of our products to the grand finale of the ski jumping season in Planica. "The ties between Gorenje and Slovenian Nordic skiing started to weave two and a half decades ago, i.e. in a period when the Nordic team was in a dire financial position," recalls Drago Bahun, Gorenje Management Board member and vice chairman of the Ski Association of Slovenia. 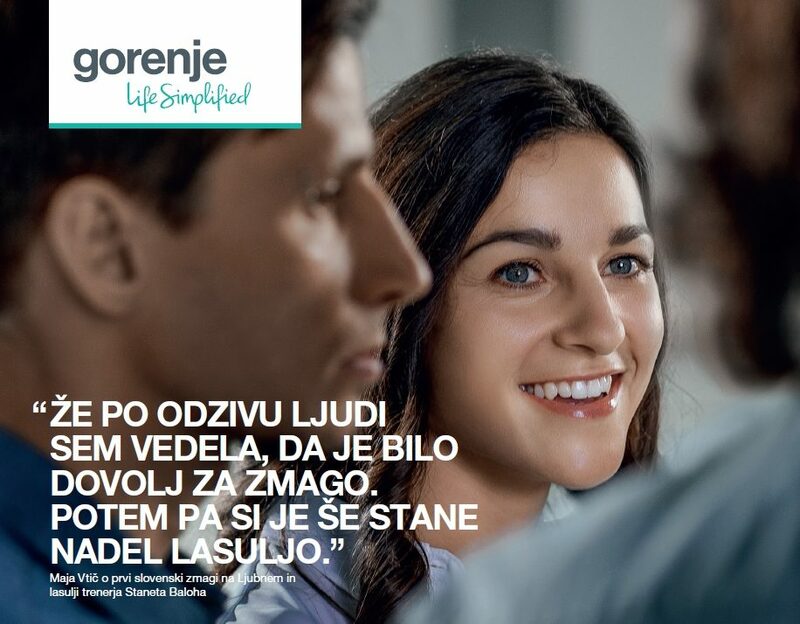 Following the proposal by the then director of Nordic ski teams Ljubo Jasnič, and with support by the Gorenje management, the company lent a hand to the Ski Association and Gorenje became the general sponsor of Slovenian Nordic ski teams. We have held on to this role ever since. "We felt our Nordic Ski Team needs not only a sponsor, but rather a partner who is by their side and looks beyond the short-term returns on investment. Although the situation was far from rosy at the beginning and the sporting achievements were sub-par, Gorenje firmly believed there was winning spirit in the team – both in competitors and in the management – and that zeal and efforts would eventually bring top-class results," says Bahun. And this was exactly the case, more than once. We were thrilled by the fantastic achievements of Primož Peterka and his first flight over 200 metres; Petra Majdič whose heroic performance despite an injury at the Olympics brought her the bronze medal; Peter Prevc with last year's unbeatable series of accolades; and many other Nordic skiers who left their mark among the best in the world. 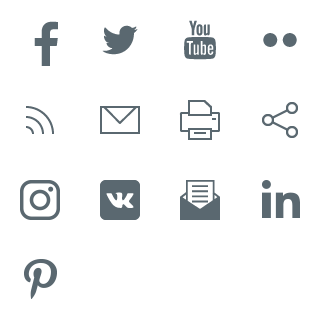 "We are aware that an individual's results largely depend on him or her, on the effort invested. However, to make individual and team success possible, the entire system has to function well, including work at the clubs, good coaching staff, facilities, sponsor relations etc. All this is provided with our Nordic Ski Team and thus, we were able to raise heroes like Primož Peterka, Petra Majdič, Peter Prevc, Rok Benkovič, Vesna Fabjan, Robi Kranjec, Jurij Tepeš, Jernej Damjan, Peter Žonta, Damjan Fras …; and together, we see how new heroes grow, like Domen Prevc, Cene Prevc, Maja Vtič ...,« Bahun explains. To me, Gorenje has always been synonymous with Slovenia and Slovenian sports. "I remember the times when I started jumping and the discipline had just hit rock bottom. At that time, Gorenje supported ski jumping. They believed in this sport when no one else did, and together we started writing the story of success that goes on to this day," says Primož Peterka and notes that Gorenje's support through the 25 years as a competitor and now as a coach means a lot. "When I finished my career as a professional athlete and started working as a coach, I had no doubt at all regarding the success of the competitors succeeding me, because they had a reliable partner who would always be by their side. As a coach, you take a different perspective of the importance of support to the athletes, and how much that support means during their downs. It is Gorenje's long-standing support that makes me want to show my support to the brand, thus giving back to both the sport and the partner who have always been a part of my life." 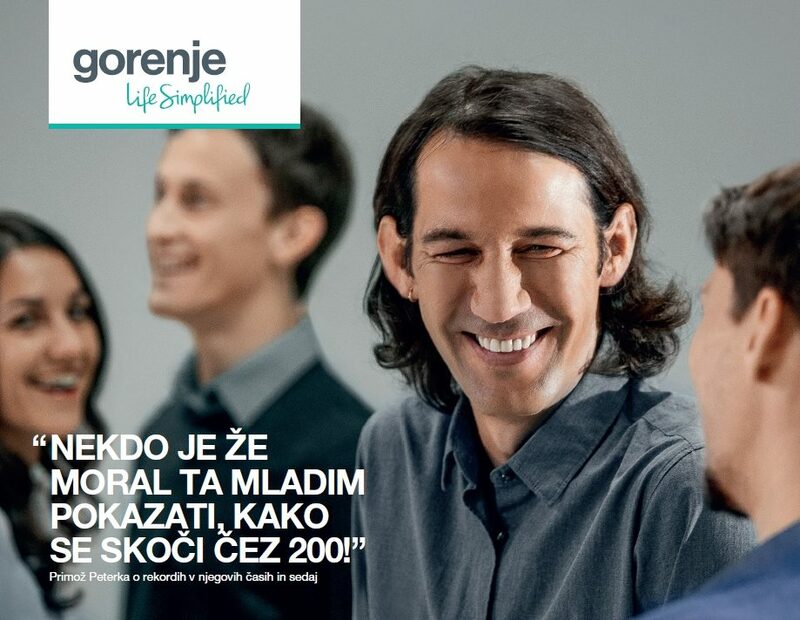 The 25th anniversary of sponsorship of the Slovenian Nordic ski team is a milestone that Gorenje is very proud of and wishes to share it with our customers. Therefore, we celebrate it with a number of activities. We have prepared TV ads, a calendar featuring male and female ski jumpers remembering the most inspiring moments of their careers, and a travelling exhibition to be displayed at our showrooms across Slovenia. We are preparing a sales campaign for our loyal users in which 500 of them will win a trip to Planica to see the final events of the ski jumping World Cup, and official hats of the Slovenian Nordic Ski Team. This year, the hats were presented to all Gorenje employees who cheer for our eagles every season and celebrate their success. With long-standing sponsorship, Gorenje allows better training conditions and thus the possibility to attain top-class results. "Since my very beginnings in ski jumping, I have sported the Gorenje logo on my helmet. With its long-standing sponsorship, Gorenje allows better training conditions and thus the possibility to attain top-class results. I thank them for the years of support, in particularly during the seasons that were not as successful. At our home, we also remain loyal to Gorenje products," said Maja Vtič on the 25 years of partnership between Gorenje and the Nordic ski teams. Throughout the years, we have forged a genuine friendship that we continue to nurture, and our Nordic skiers have also become a part of Gorenje's large family. We stuck together through good and bad, supported the work and efforts of many clubs, in the coaching staff and in the management of the sport. We believe in going forward together, and we thank all who have taken part and continue to take part in this journey.